There is no such thing as an easy divorce but our New Brunswick divorce lawyers can help get you through. Even the most amicable of divorces represent life-changing events for those involved. The choice to get a divorce is a gut-wrenching decision, with far-reaching ramifications. Even if it’s the right choice, it’s still a difficult choice. There is no such thing as an easy divorce but our New Brunswick divorce lawyers can help get you through. Even the most amicable of divorces represent life-changing events for those involved. The choice to get a divorce is a gut-wrenching decision, with far-reaching ramifications. Even if it’s the right choice, it’s still a difficult choice. Divorce represents a final separation from your life partner. It’s isolating. It’s emotional. And, as the process continues, it becomes harder and harder to separate your emotions from your decision making. That’s why it’s important to find an experienced guide, to help you through this challenging time. Adam G. Rosenberg, Esq. understands all aspects of divorce practice, and can walk you through the process, step-by-step. He’ll provide regular updates on the progress of your case, and explain what each milestone means. He will be available to patiently answer all of your questions — even the ones you didn’t know you had. Even if you think you and your spouse can come to an amicable agreement on all the major terms of your divorce, that may still not be enough to get an uncontested divorce. The fact is that the majority of all divorces are contested. We will analyze any points of disagreement, and if we cannot help you to reach an uncontested settlement, we will zealously represent your interests in a contested action. Over the course of your marriage, you and your spouse have acquired a number of joint assets. One of the major functions of a divorce is the splitting of those assets. In the course of an extensive review, we will help you to determine what is and what is not marital property, and will work to get you your fair share. Whether and how much one spouse owes the other in continuing maintenance payments post-divorce will depend on a number of factors. We will consider the factors relevant to your case, in order to build a payment arrangement that will suit the needs of your new life. 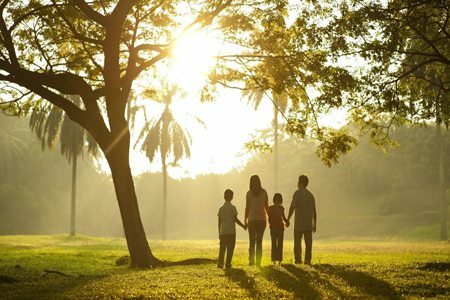 We understand that, beyond any considerations of money, maintaining a healthy relationship with your children post-divorce is your most important goal. To that end, we will work with you, your spouse and your spouse’s attorney to establish a custody arrangement that meets yours and your children’s emotional needs, including their basic financial needs. You can end your marriage without compromising your financial future or jeopardizing your personal well-being. Contact us today, for more information or to arrange a consultation with an experienced New Jersey divorce lawyer.